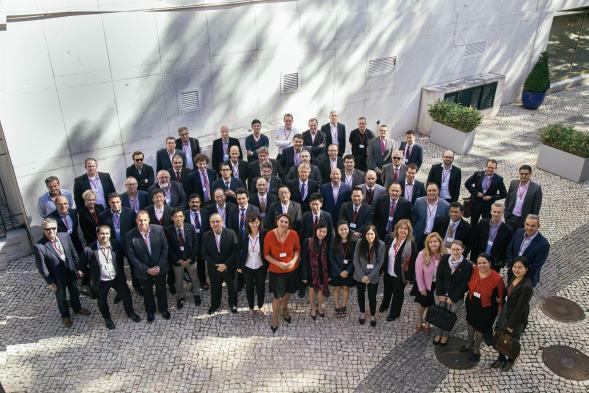 The Global Institute of Logistics was invited by the World Freight Alliance to address its network at its AGM in Lisbon, Portugal. The title of the presentation "Where is the Industry Now? The WFA is an alliance of like minded, progressive and proactive freight forwarding logistics companies spread across the globe. Through their worldwide network, WFA offer global and freight solution to Beneficial Cargo Owners. The independent freight forwarding sector is now more vibrant and successful than ever, despite the global economic woes of the past few years. The rise of the independent agent has now been borne out by a whole range of statistics and data that prove that far from shrinking, the independents are growing faster and taking market share from the multinationals. Latest figures from Drewry show that 41 per cent of all ocean freight is now controlled by 3PLs or forwarders and by the end of the decade analysts are predicting that the market share will rise to 50 per cent – a remarkable switch in business practice by BCO’s over the past two decades. 20 years ago some 75 per cent of all sea freight volumes were booked directly with carriers. Cariers due to the huge downward pressure on container rates (largely due to their own misguided strategies) are being forced to increasingly commoditize their product. As a result carriers are increasingly incapable of meeting shipper’s needs through direct relationships as they lack the end to-end service supply chain capabilities, focusing instead almost entirely on cost. Sales and customer service teams have been slashed as the fight to the bottom on rates continues. The advent of super alliances has further eroded the personal interfaces between the shipping lines and the end customers.